For Mothers day I always enjoy seeing what others have received. Over the years I have seen unusual and unique gifts but I had never thought of gifting my mum anything unusual and unique. I normally stick to sending her simple edible gifts and a card. A few weeks ago I was sent a unique gift which I adore, I think it would make the perfect present to those wonder(ful) Mums this mothers day. 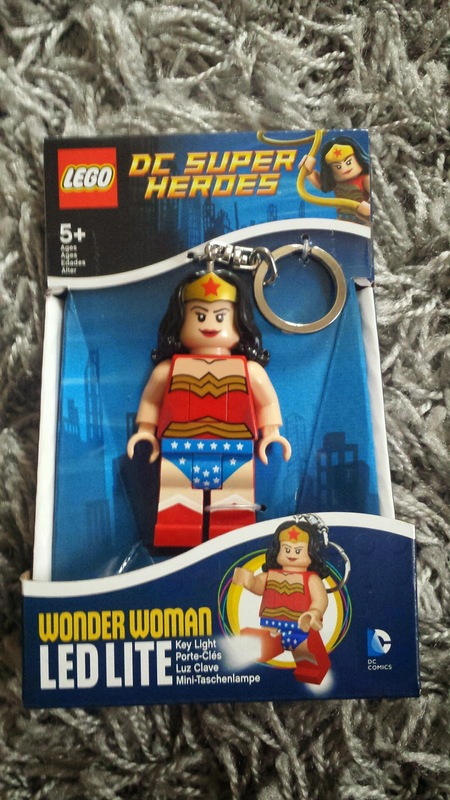 I was sent a Lego Wonder Women LED Lite key ring. The key ring stands at around 8cm tall and is bright in colour. The key ring is decorated to look exactly like Wonder Women. Along with her Wonder Women looks, she is also is designed to look like a small Lego figure that you may see your child playing with. The Lego Wonder Women LED Lite key ring has a button on her tummy, when pressed Wonder Women's feet light up. The light from her feet is quite bright and at night the light would be bright enough to help you find thing's such as your front door key lock and items such as your phone or something that you may have dropped on the floor. The Wonder Women LED Lite key ring has a strong key ring attached so it is unlikely that you will ever loose your keys or any other items that you may choose to hang on it. The chain on the key ring is long, I think this is a super feature as it means that the keyring is unlikely to ever get tangled with your keys. 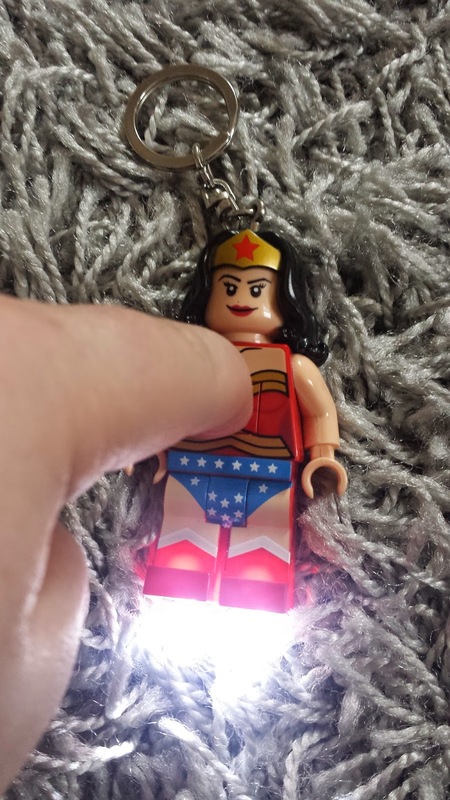 The Wonder Women Led Lite keyring can be purchased from places such as Toys R Us and Amazon. The keyring has a RRP of just £6.99 which I think is great value for money seeing as it is a character item. I think this is a simple and unique gift this Mothers day.